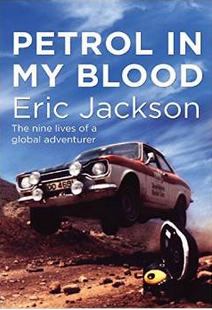 If you’re looking for a great read, full of adventure, humour and history, then I definitely recommend Petrol in My Blood by Eric Jackson. This is the autobiography of a Yorkshireman, born in a gipsy caravan in 1924, who started life with humble origins. 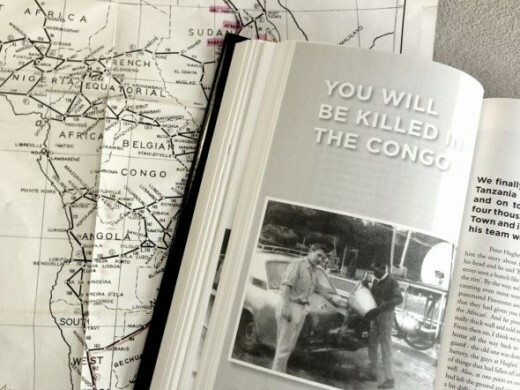 Written when the author was in his eighties, the book spans generations and it’s a miracle that, because of his adventures, that he survived to tell the tale. This is definitely a man with (more than) nine lives. His early life was eventful enough and it’s fascinating to read what life was like in the twenties and thirties. Oh, and so much more. You’ll meet various celebrities along the way too. But I sometimes think that the ‘ordinary’ people are far more interesting than the so-called rich and famous and you won’t believe some of the colourful characters that romp through these pages. Now you might have noticed that the book cover features a rally car. 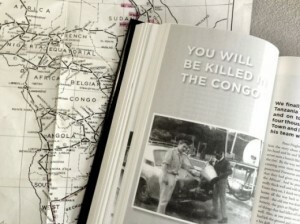 If motorsport isn’t your particular subject, don’t think that is the topic of the book, although it’s thanks to the sport that Eric found himself all over the world in inhospitable places and in dangerous and life-threatening situations. But if you have a motorsport fan on your gift list, nothing could be better than this. Be sure that you read it too. Note to the eagle-eyed: You might have noticed that the author’s surname and mine are the same. This is actually no coincidence. Eric Jackson is my dad.